Think the Munros are too difficult? Think again.Meet Baffies, the entertainments convenor of the Go-Take-a-Hike Mountaineering Club. 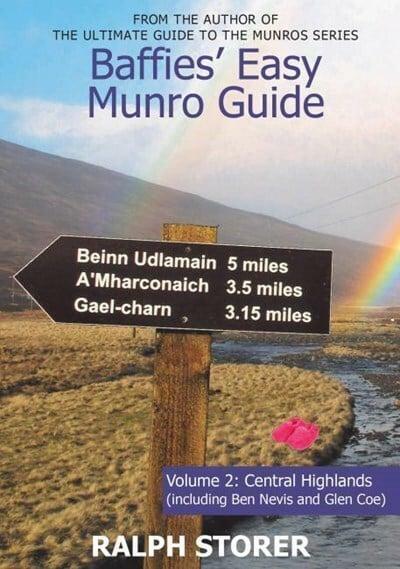 Named after his footwear of choice [Baffies is a Scottish word for slippers], he is gifted in the art of finding the easiest way up any given mountain.This is the second in the Baffies Easy Munro Guide series of reliable rucksack guides to some of the more easily tackled Munros. Twenty-five routes, each covering one main Munro, all with detailed maps and full colour throughout this lightly humorous and opinionated book will tell you everything you need to reach the summit.